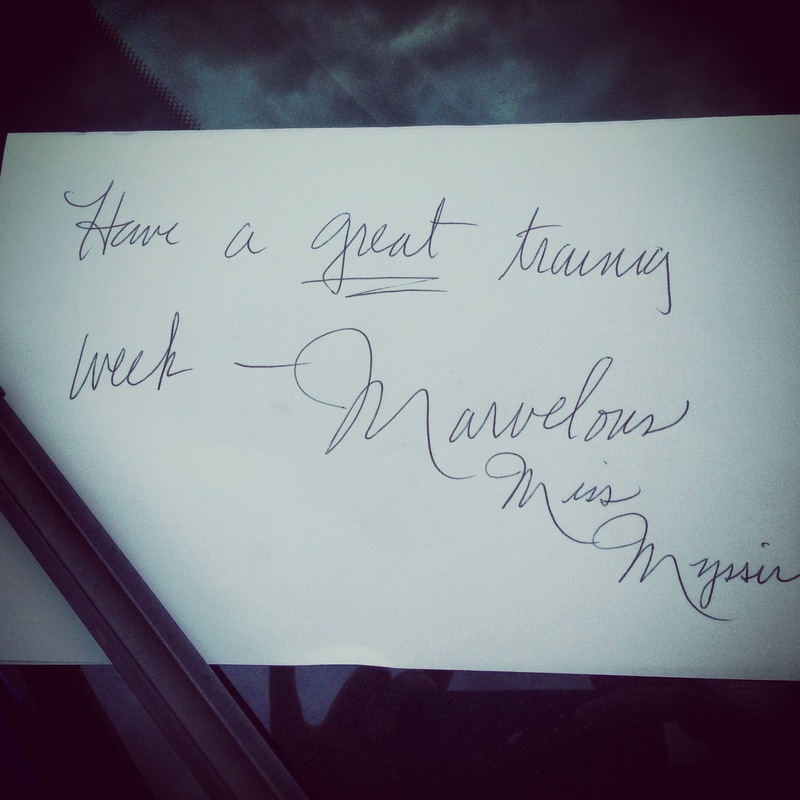 I found this note on my car windshield just as I finished my tempo run today on the trail that started it all for me. If you got just half the inspiration and support that I witness everyday, you’d understand that it’s impossible to stop now. This entry was posted on May 14, 2013 at 1:30 am and is filed under Uncategorized with tags cancer, capital of texas triathlon, captextri, leukemia and lymphoma society, LLS, marathon, mimismiles Mimi's miles, run, runmyssierun, running, Team in Training, tnt, triathlon, triple crown. You can follow any responses to this entry through the RSS 2.0 feed. You can leave a response, or trackback from your own site.